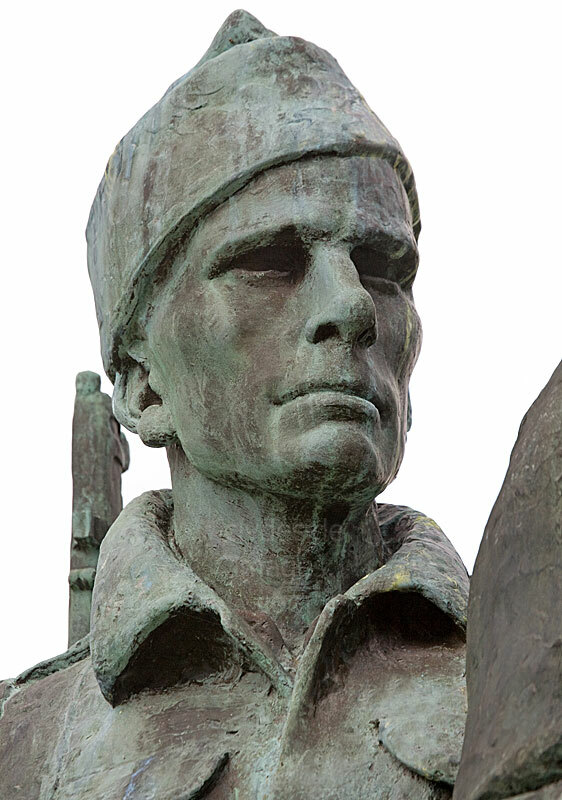 Unveiled in 1952 by the Queen Mother, the Commando Monument has become one of Scotland's best-known war memorials. 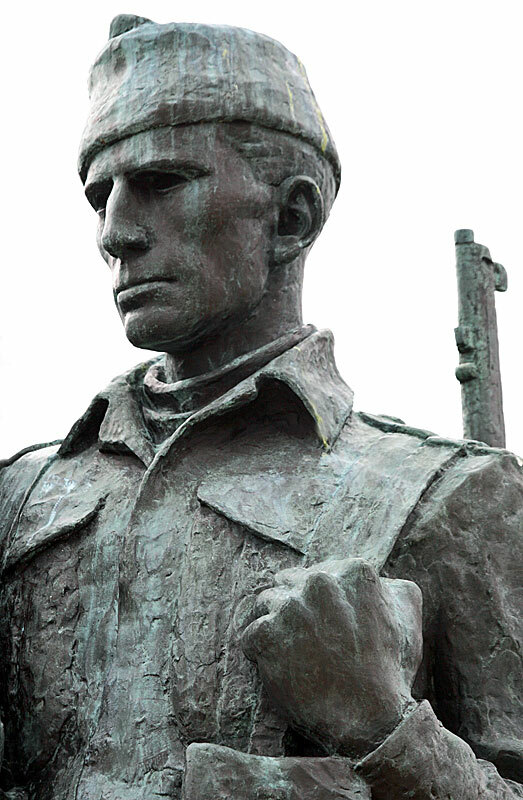 The iconic monument is situated beside the busy A82 Fort William to Inverness road on the high ground above the village of Spean Bridge and overlooks the wild country in which the Commandos trained. 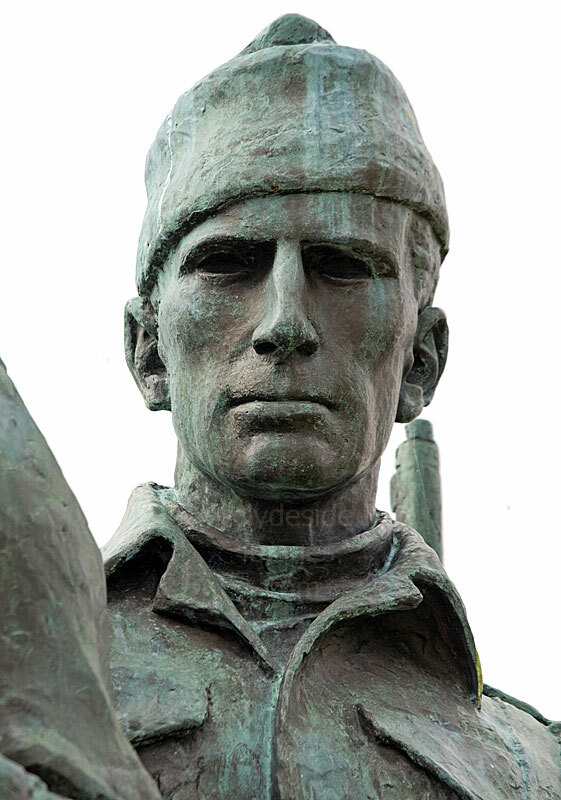 The figures gaze across to the dramatic skyline of the Grey Corries mountain range with Ben Nevis and Aonach Mor off to the southeast and the combination of the memorial and, weather permitting, magnificent scenery, make the Commando Monument one of Scotland's most-photographed war memorials. As a result, it`s often a challenge to capture it against the mountain backdrop without people in the way. 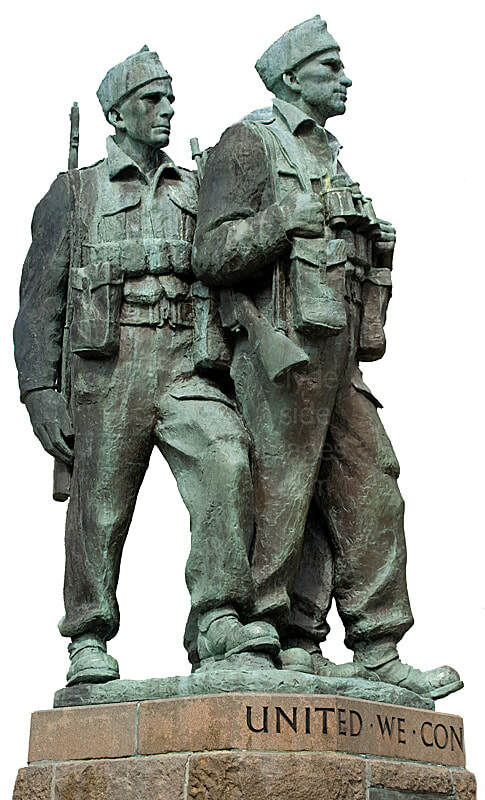 In 1949, the sculptor Scott Sutherland`s design won a competition open to all Scottish sculptors for the commission. Nearby Achnacarry Castle became the main Commando Training Depot for the Allied Forces from 1942 to 1945. Achnacarry had been a training centre for the first Commandos and the SOE (Special Operations Executive) since 1940 but the facility was greatly expanded in preparation for the D-Day landings. In addition to British troops, United States Army Rangers and commandos from France, the Netherlands, Norway, Czechoslovakia, Poland and Belgium also trained there. Each course culminated in a simulated amphibious assault, usually at nearby Loch Lochy, when live ammunition was used.